Hearts never go out of style. 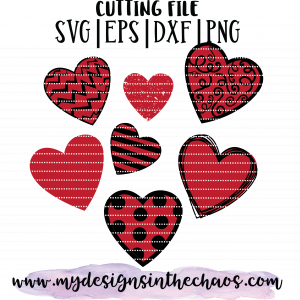 While these free heart SVG files are perfect for Valentine’s Day they are so versitle and can be used year round. Weddings, birthdays, anniversaries, cute home decoration…. hearts are timeless. For each of the designs I have provided a full heart that fits exactly behind the fun design feature in the front. This way there are tons of options for whatever project you choose to create. PLEASE NOTE THAT THERE ARE AFFILIATE LINKS IN THIS POST. Interested in more freebies? Check out a few of our most popular posts! This particular heart maybe kind of tricky to weed out but it is oh so cute! I love the simplicity of this particular design. Simple yet festive. My kind of shirt for sure! 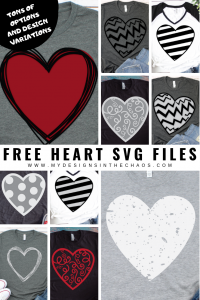 In this graphic of the free heart SVG bundle you can get a good overview of all the hearts that are included. You can mix and match, pair them up, or even leave the background off of them like we did in a few above. Which one of them is your favorite? These files are available for personal and commercial use up to 200 uses. The files are not to be used in print on demand shops or to be re-distributed in any other way. 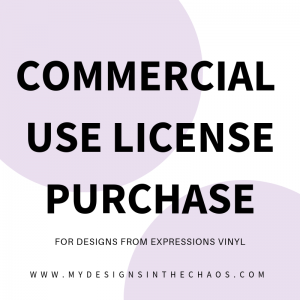 If you have questions on our licencing please feel free to reach out. We would LOVE it if you share the link to this direct post so your friends can come download it for themselves. Before you download the bundle below please take a moment to pin one of your favorite hearts above. This helps us to continue to provide free quality files for you. Also if you aren’t currently following us on Pinterest head over and check us out here. If you love these files I know you will love our pins! Thanks so much! Please Note: The bundle will be downloaded directly to your desktop in a zip file. For more details on how to unzip the file and have access to the SVG check out our FAQs here. We always love to see the projects that you make with our files. Having them come to life is one of the best parts of designing them! Make sure to show it off over in our FB group or shoot us an email with a picture of your project. It makes our day. As always the greatest compliment you can give us is to send a friend our way. Let them know where they can find fun quality affordable (and FREE) SVG files! We strive to serve you so if there is something specific you are looking for while we don’t take custom requests we love working off your suggestions. ‘Til next time, happy cutting, crafting, and chaos! Amazing files! Thank you! How do I remove the red background from the messy heart so that only the outline is left? When you open it up in design space or Studio if you click un-group the red heart is a separate object. You can easily just click delete and only cut the messy outline. 🙂 Let me know if you need additional help! I love all of the freebies that you provide!! Thank you so much!! When I download the files, they are not svg. I am working with a cricut and ds. I am unable to ungroupthe red from the messy heart design. Please let me know if i can do something different. You ROCK!! Thanks! It sounds like you might be uploading the PNG instead of the SVG. With the SVG files you can right click and select un-group with the PNG it won’t un-group because it is all one layer. The SVG probably looks like an Internet Explorer or Google Chrome file. Check out this post where we explain the differences between PNG and SVG file types here. and let me know if you need additional assistance. Thanks!